I have rented with Cannon & Gruber for many years. The whole process from the time I reserved the unit to the time of check- out was seamless. The fairly new online portal is easy to use and an excellent communication tool. This particular unit is quite colorful, but also quite dated. Of real concern, however, was the condition of all the carpets throughout the unit. They were incredibly stained, it literally looked like coffee had been slung in every room. The online pictures do not capture the true condition of the carpets. I know it is "the end of the season" but I paid high season rates. Additionally, the comforter in the master was really really dirty. I might suggest that a Cannon & Gruber Rep. instruct the housekeeping team to alert head office so these issues can be rectified before the next renters take occupancy. After an astounding amount of washing, I was able to enjoy my vacation. We thoroughly enjoyed our stay at A-35 The Breakers. 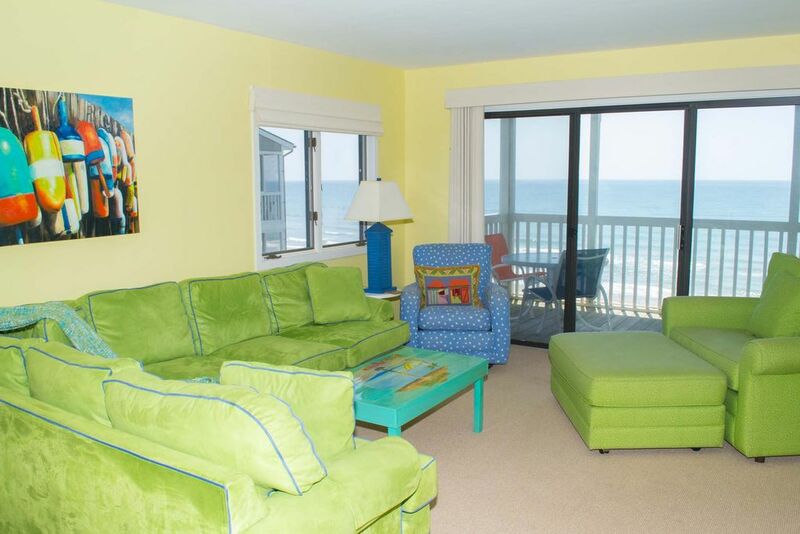 The condo décor was lively and highly personalized with many beachy accessories that made for a very cheerful environment. Hard to be in a bad mood in this condo! The condo was perfect for our last minute vacation. We only had one of our daughters with us so the space was ample and having 2 bathrooms was great! The location was perfect, quiet uncrowded beach. The view from the balconies was perfect! However, only 3 chairs are at the outside dining table since the condo sleeps 4 I recommend adding one more chair. I would definitely recommend this propert to family and friends. We usually need a bigger place for our 3 grown daughters and our dog so most likely we won't return. Comfortable, good sized unit. Glad to have the elevator.